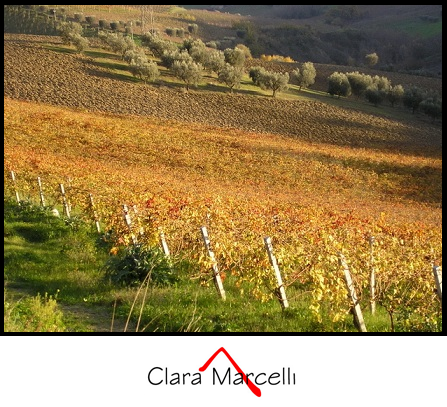 The Marcelli farm is located on the gentle hills of the Piceno region, a few miles from the Adriatic and a dozen miles from the imposing Apennines mountain range. The vineyards are at 750 feet above sea and they look East to the Adriatic and South to the Tronto valley. By adhering to century old organic farming methods, the estate is a living example of how sustainable agriculture has never left these lands. The hard work of the local grape growers, matched by the wine making skills of local wine makers, like Marco Casolanetti, are taking the wines of the Southern Marche region to world fame. The estate extends for a total of 74 acres, less than half is planted with vineyards and the remainder is arable land, woods and olive groves. The estate is certified organic by the Istituto Mediterraneo di Certificazione (IMC).